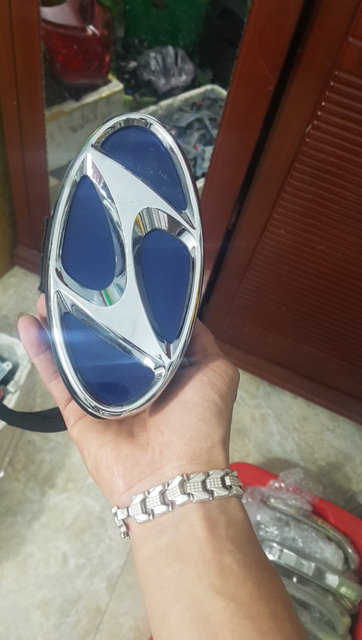 Can i put oem camera on hyundai i30 -2013?? I just buy anew car its hyundai i30 - 2013 - GDI - 1.6 - petrol. The car have all acsseroies i need but dont have dvd ( touch screen ) and oem camera that come under the hyundai logo in the back of the car. I see another cars have this camera that when u put R in gear the camera come up from the logo and when u drive on D , the hyundai logo come back normal. So i want to buy this camera and dvd BUT the car have all wireing and just need to connect the camera and replace logo ? Or i need anew wiring to be coneect in the car ? 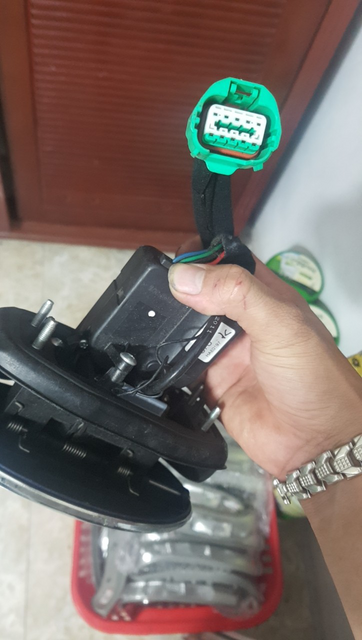 Re: Can i put oem camera on hyundai i30 -2013?? I would inspect your tailgate to see if there is the necessary cutout under the logo. I would not be surprised if the models with this feature have a different boot skin. Only guessing though. I have installed Auto.Vox IP68 170° 6LEDs Night Vision HD Car Parking Rear view Reverse Camera | eBay this cam and it's awesome. I have an aftermarket android 5.1 navi dvd also. I installed this and I am very impressed with it. Which is fine, but i already have a front recording camera with input to my 7" 1200*600 android unit, so would be a bit "cheap" to put an extra mirror on top of the original. I fully agree. If I had an Android unit already, I'd be feeding the video into it, in which case, buying a simple aftermarket add-on camera should work well, on or off the swivelling logo. Yellow wire, not needed, unknown func. Probably some kind of feedback as voltage is approx 10,6V in closed position & 10,4V in open. Yellow OR white: Video, other color is probably video ground. I am unfortunately not allowed to bring any camera to where i do the testing, but i did take the movement-enclosure apart to measure diodes on PCB to be sure not to kill this part when testing which pins is for what. But it actually seems like they have been careful to put diodes on all +/- inputs. You should be able to determine which is ground by no or low resistance to chassis earth. The other will be the signal line. Can you explain us the process? Was the wiring already placed in the tailgate? I found out the ignition-signal from my stereo wasnt delivering enough to get the camerasled out all the time, so put a relay on ignition-supply to the headunit (Which as far as i remember only is 3 volts). You need a dremel or so to grind away metal behind the logo to get space for the camera. My car is also i30 2013, but it's same to your car before, no OEM camera under Hyundai logo and DVD. Last year, I tried to order an OEM camera from Korea and a DVD in Vietnam. After installing, the camera and dvd worked well except the Hyundai logo didn't turn to present the camera. I though that the camera's hinge didn't receive control signal to turn or something else that I didn't know. The camera I bought is in attachment. The DVD was kept for entertainment, and the camera was removed. Would you mind sharing me where did you buy the camera, its model/serial number. And how to install it? I dont believe that my cars wiringharness is the same as yours, as mine is made in Europe & after buying several components to it directly from Korea, (cruise control & auto-light), where only auto-light fitted & i had to redo almost all wires to get the cruise-control to work. So, what is the result? Have you installed the camera yet? These pop out cameras are a great idea. My stepdaughter was lucky enough to get one in the 2016 SR Premium she recently bought. I wish my MY18 PD SR had it. Stops the camera getting dirty.